I'm here with a sneaky little fashion post aren't I? I know, I know, I'm as blown away as you are But here it is and I would like to introduce to you: Unique 21. We all love a new plus size brand don't we... Well, I *say* new, Unique 21 have actually been knocking about for a while now, albeit previously on other sites such as Simply Be (Where I bought this rather fabulous blouse) and ASOS. They've now launched their HERO range on its very own site, bringing us bright co-ords, snazzy blouses and sparkly knits. I think we can all agree that"Jeans and a nice top" are the most useful thing you can have in your wardrobe so being able to extend my options in this department is always very much appreciated. It seems like Unique 21 are going to be a good call for simple well made styles in different colour variations. 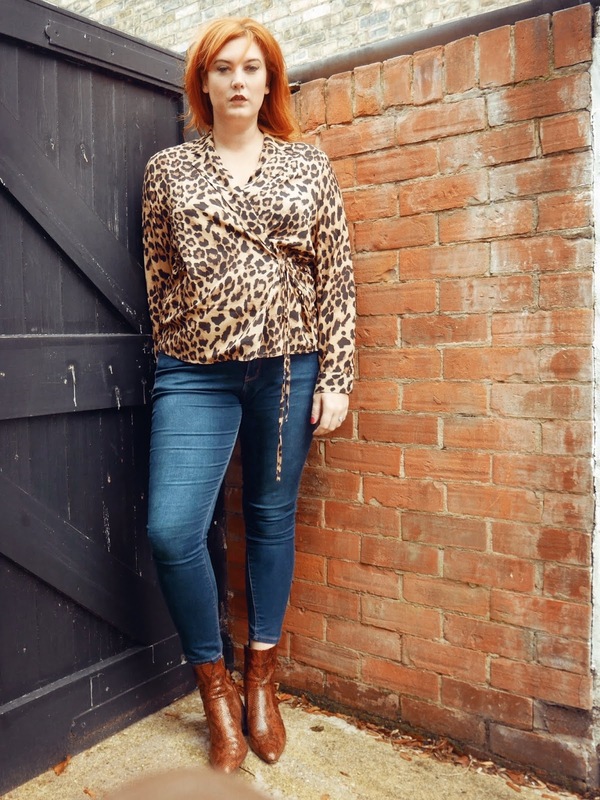 This leopard print wrap shirt is ideal over a pair of skinny jeans, it's an easy to wear, throw on item that would work just as well down the pub as it would in a cocktail bar. I haven't practiced doing backwards rolls in it yet (that's what I do on nights out now, who knew?) I feel like it would be perfectly possible. Where the range is currently quite limited, I am told that this is set to increase with more options becoming available in the larger sizes (It currently stops at a 26...) which, as you can imagine, I am very much looking forward to seeing. * Denotes gifted items for review - All views are my own. 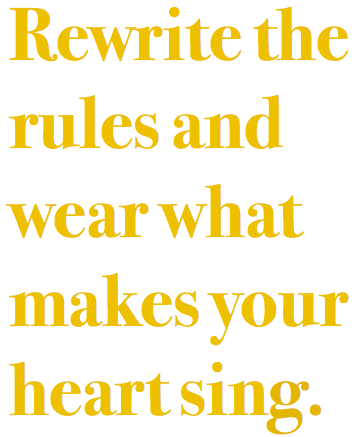 With this in mind, I was extremely pleasantly surprised when I stumbled upon this rollneck jumper from Pink Clove. 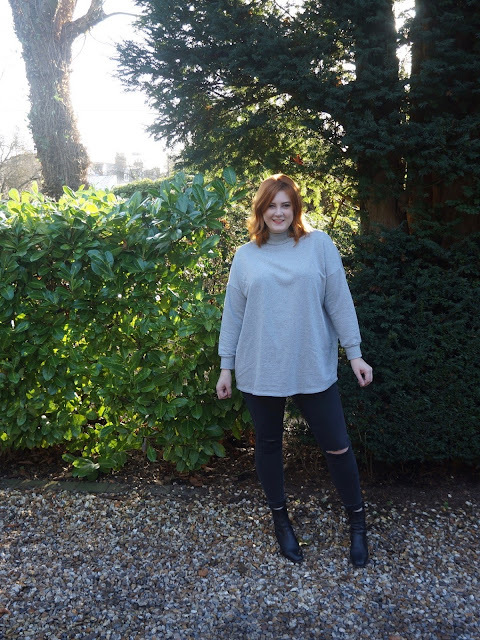 With its sweatshirt material and slouchy fit, it ticks all my slob boxes, but that's where the similarities end; The high neck, raglan sleeves and longline length take the jumper from oversized PE kit to chic, casual Sunday. I'd forgotten about these Topshop jeans but have worn them non-stop since I found them - For such thin denim they have a lot of life in them. The ankle boots are also Topshop - Now I have to be completely honest with you: Topshop's size 9s are a 42 - This is actually a size 8 in my eyes, HOWEVER, some of the 42s are actually a good size 8, so they fit me. These ones are pretty tight but with them being leather, they'll give bit, plus they look banging. Topshop are my fave high street store by a country mile, so it regularly breaks my heart that in most cases both their clothes and shoes are just that bit too small. January can be grim can't it? It plays havoc with the weather, the light and more annoyingly our moods. My new job means that I literally don't have a moment to think about anything except all of the long words I need to learn (HELP! ), but I'm still longing for natural light, warmth and a bit of extra brightness to my days. Hence this scarf. I bought the scarf just before Christmas in a "Treat yo'self" moment on a particularly bloody freezing cold Yorkshire day and have worn it constantly ever since. I honestly thought it was green but I have since realised that it is definitely yellow. VERY yellow. It's also the softest thing I own and the perfect addition to an otherwise quite gloomy outfit. It certainly seems the case that wearing something flamboyant (even just a scarf) can really up my mood. The coat, however, is a different story. This is my work coat and I LOVE IT. The joy of having a coat that you can throw on over pretty much anything and still look smart is a feeling I can very much get along with. 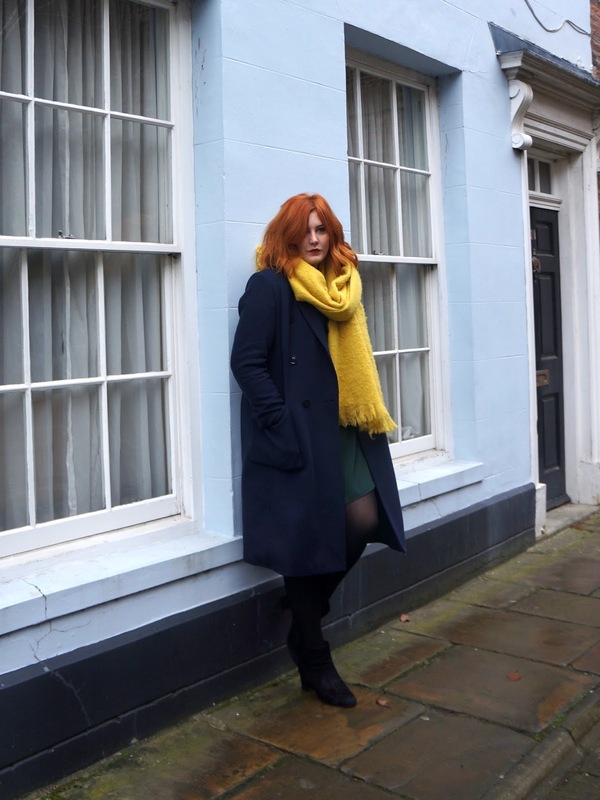 I bought this double breasted woollen coat at the end of 2015 in lieu of being able to find a camel coat that I felt strongly enough about, Marks and Spencer very much provided on the navy blue front (I've since bought a camel coat but it's not to be worn until my birthday - Yes I am just that skilled at depriving myself of joy). I would like to thank lovely Violet for sharing a rather lovely afternoon with me in Hull (My hometown and the UK City Of Culture in 2017 "YORKSHIRE! YORKSHIRE! YORKSHIRE!") and taking these fabulous pictures - Violet has just been named as one of the Yours Clothing Bloggers so you'll be seeing a lot of her in 2017 and quite rightly too! 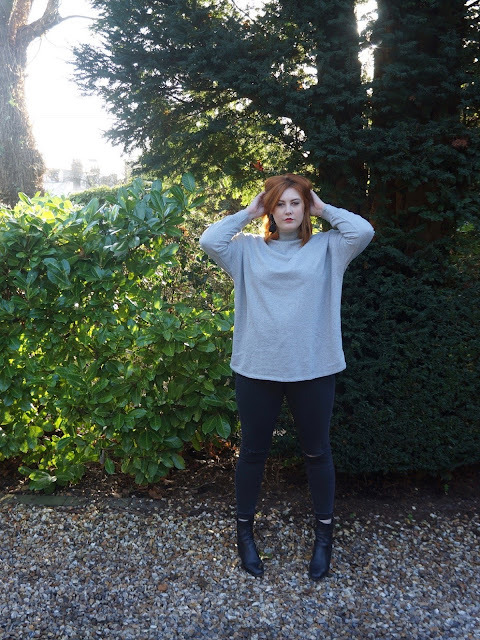 Just a quick Sunday post from me to allow me to share my new found love for wearing rollneck jumpers underneath things. A public service announcement if you will. 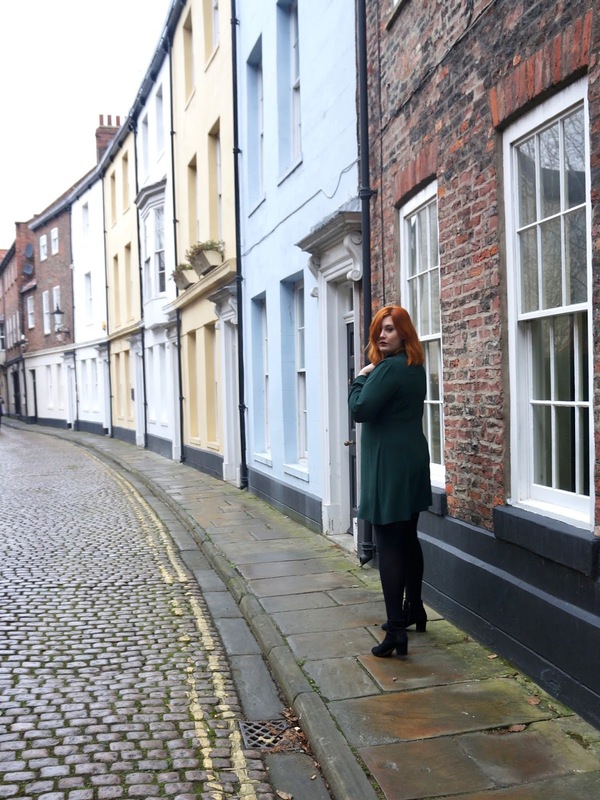 This particular rollneck is Jette from Navabi. Hilariously, I ordered it by accident (Yes, I am THAT stupid) but when it arrived, I thought I'd try it on... I've hardly taken it off since then. I must confess that I don't know an awful lot about Jette but Navabi have some of their office basics on their site at the moment and if they're even half as good quality as this jumper I wholeheartedly recommend them. 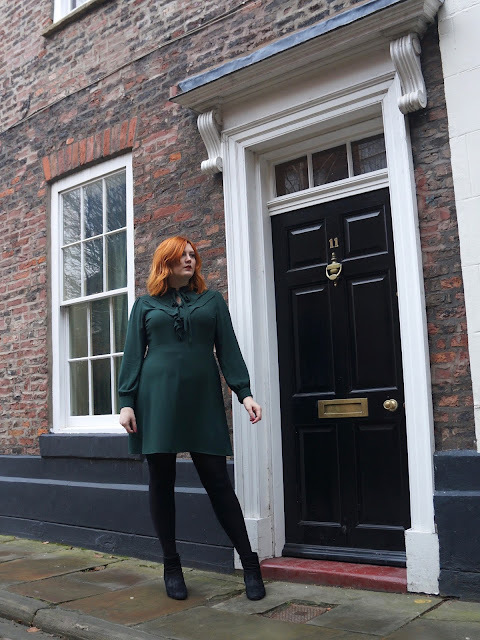 This shift dress is from Elvi, it's ideal over a jumper as it's loose fit (I'm wearing a 16 here) I do think Elvi do shift dresses well in that they're always a good length and have the attention to detail (Hems, raglan sleeves and pattern) that so many brands miss on basic items. 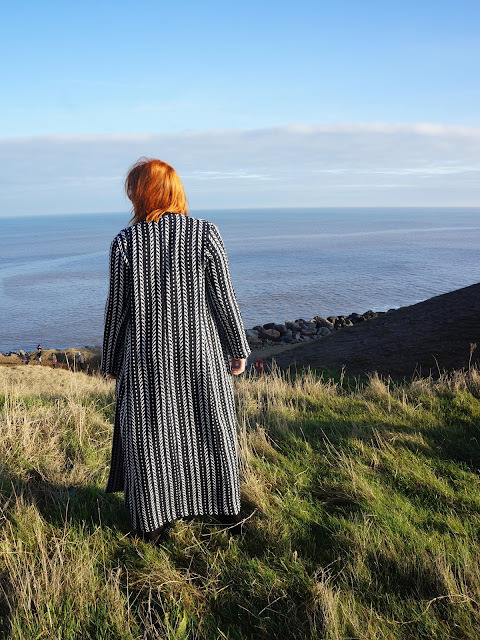 I've got an extremely busy week ahead of me, I assume I'll be wearing clothes but it seems unlikely that I'll be standing still at any point so it may be a quiet blog week, please accept my apologies! I feel like plus size collections have come a long way in the last twelve months. 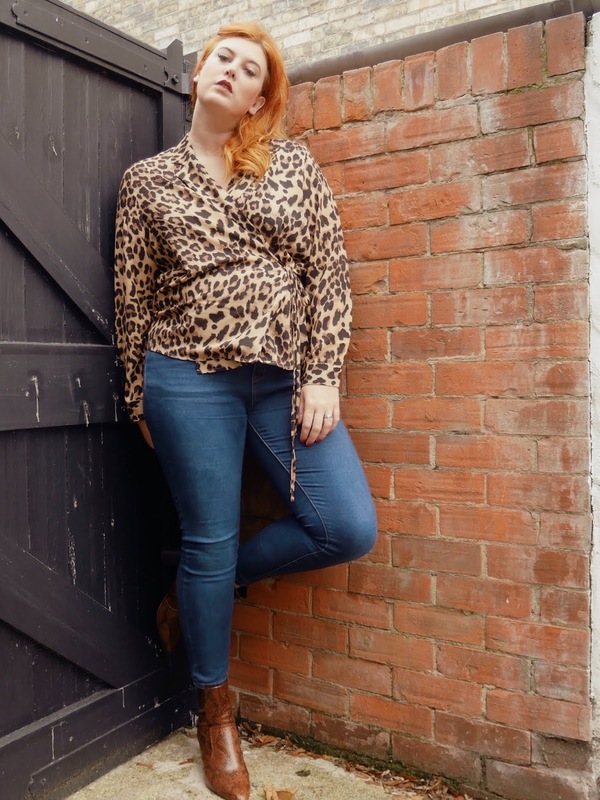 With retailers like Navabi bringing classic fashion to our fingertips, I've personally been able to go from spending a fortune on fast fashion to investing in timeless, well-made pieces which will last me years, a fabulous example being these pieces from the Hayley Hasselhoff x Elvi collection. I'd been eyeing up this for a VERY long time. What. A. Statement. Piece. I feel incredible when I'm wearing it, such effortless glamour. It is made from a thick white/navy herringbone knit and is fully lined (I know how much you guys like this). 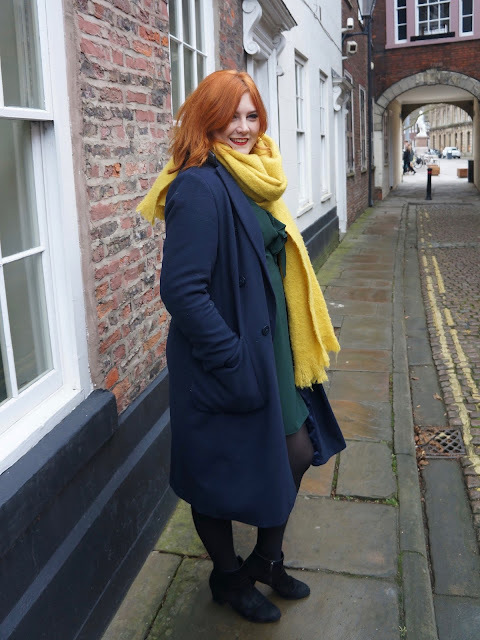 A word to the wise - The coat is LONG, utterly perfect for me but if you're under 5"9 you may need to think about having it taken up unless you want to collect every single leaf, crisp packet and stray cat on your street. This dress is simply perfect - I love a high neck and coupled with the tailoring and waist high splits, you have a dress which will work equally as well over leather look leggings and high heels for a night out as it would with wide legged trousers and sandals on holiday. I have to specify, I AM wearing underwear below, you just can't see it. I'm not in the habit of public indecency at public beauty spots. I've actually met Hayley a few times in real life and can honestly say that she is one of the most beautiful people I've ever seen. She literally glows. Not only this but she has clearly put a lot of thought into this range and I get the feeling that she would wear every single piece herself; describing the range as "Sophisticated, minimalistic, tailored and timeless" - I really couldn't think of a better way to put it. I bought both items in the Elvi sale, meaning that the coat was just £59 and the dress £29, absolutely phenomenal for such high-end pieces. The new Hayley Hasselhoff x Elvi collection is out later this year and it is STUNNING - the longline silhouettes and luxe fabrics are still there with the addition of mixed textures and incredibly versatile statement pieces - Keep your eyes peeled! Look, I'm wearing clothes again. Well done me. Now you all know I like Elvi, their clothes are consistently stylish, well made and fit me like a dream - This shirt dress is no different. Shirt Dresses are just so flipping easy to wear, I've worn this one with and without the belt, over jeans and leggings. I love how this sheer one it looks with gold accessories and my much loved OTK boots. The side splits are extremely high so I don't think that I would wear it with tights but I know plenty of women who would brave it and look incredible. I'm currently considering some leather look leggings (WHAT IS HAPPENING TO ME) that this dress would look BANGING with. In terms of sizing, I could have definitely gone for true to size here but usually size up with anything shirt related due to my broad back, so this is an 18 and it is lovely and loose, hence me cinching it up over the belt. The Dip hem means that it is on the knee for me at the front the calf length at the back when not cinched - Ideal for you taller ladies. I've got another lovely Elvi dress with a very 70s vibe to show you soon - Watch this space! I've heard of people who pack away their Summer wardrobe. Like they actually put everything they wear in the warmer months into suitcases and then get them out again the next year. 1. Who is this organised? 2. How do they have this much time? 3. Why would you do this? 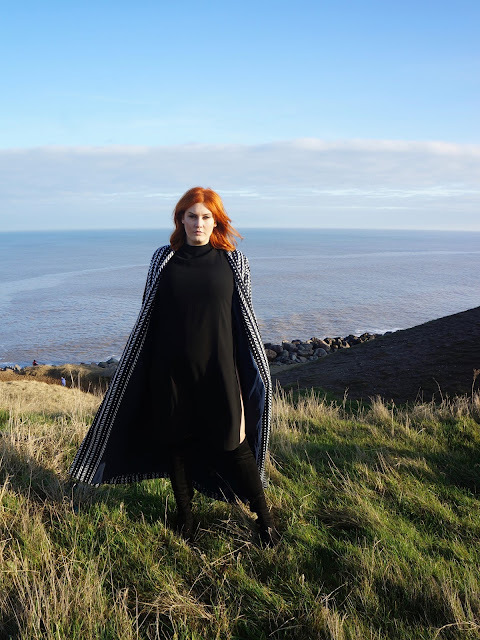 Most of my wardrobe is incredibly versatile in that I wear it all year round; Sometimes I put a roll neck under an item, sometimes I swap a skirt for a pair of skinny jeans. 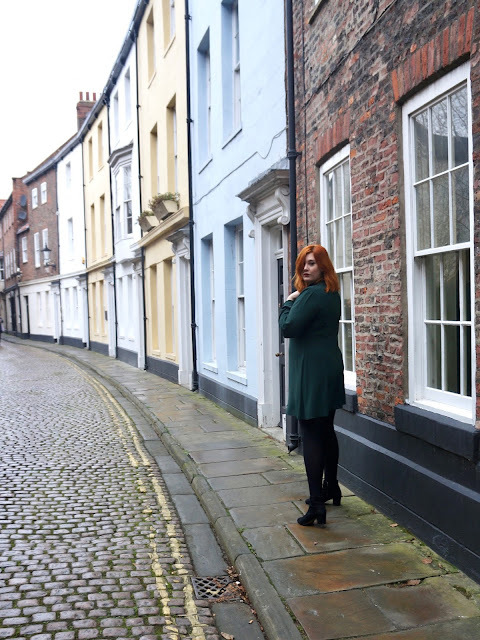 More often than not, I bang on a pair of tights, ankle boots and a big old coat to keep out the cold, just as I have with this Plus Size Shift dress from Lovedrobe. This dress is already pretty seasonal in that it is knee length, fully lined and has a beautiful embroidery to the front and sleeves. I'm an eternal fan of navy blue but this particular dress is also available in maroon (As seen here on gorgeous Lucy) Size-wise, I opted to size up twice due to the generally small fit of Lovedrobe, actually an 18 would have been fine but I like the looser fit of it, particularly around the sleeves. I've been pairing the dress with my River Island aviator jacket which I invested in after getting hold of a 25% discount in October and I LOVE IT. It's so warm and the over-sizing of it means that it sits in exactly the right place and isn't at all boxy. Plus I get to look like Del Boy - What more could one want from life? I've looked online and can't see it in stock other than in black but have definitely seen it still in store so if you're interested it may be worth having a look about. I've also been wearing these Simply Be Ankle Boots* non-stop recently, they go with absolutely everything. If you fancy reading a bit more about them I've written the first of two Autumn guest posts for them over on the Simply Be blog - Why not have a read. *Denotes items gifted for review - All views are my own FACT. You all know I love a good year round retro look and this Autumnal outfit of bell sleeved mini dress and over the knee boots is currently rocking my world. The ladder detailing at the front of this Yours Clothing Swing Dress give it the feel of a dress much more expensive than its £26. It may be mini but as long as I don't stand in any wind tunnels my dignity will remain in tact. I'm wearing an 18 here but could have probably sized down to a 16, I just wasn't sure about that waistline -Turns out it's less skater cut and more swing which makes it nice and loose. The sleeves are also very true to size SO I'd recommend that if you're into this frock, go for your own size or the lower if you're between. Coupled with an extremely versatile (and delightfully big!) monochrome Dogtooth scarf I'm feeling very mod chick. So I did it, I bought some over the knee boots. You may have noticed from this here blog that you read, I have long legs, looooooooong legs. I also have a pair of legs which are smack bang in the middle of regular and wide. This means that OTKs have always been well off my radar despite loving them deep down in my heart. Enter Primark with this utterly bloody perfect pair of size 8, block heel, pull up pair of dream boots. 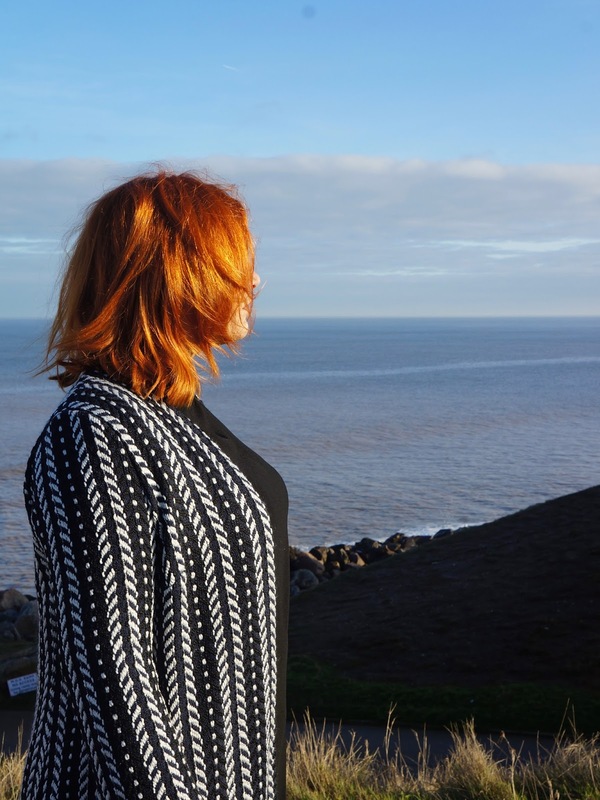 They fit me perfectly both in length and width, are comfortable and were only £20: WINNER! I love, love, LOVE this look.The 60s aesthetic is everything to me and Autumn is the perfect time to showcase it. It's likely that I'll put a pair of tights on with this from this day forward because BOY IS IT COLD but with a long woolen coat and my bobble hat I can see this being a key outfit for 2016. I'd just like to thank my wonderful sister Tomato for taking these pictures - She's got MAD skillz. With their classic, easy to wear plus size capsule ranges, Elvi have been a key contributor to my wardrobe in 2016. Today brings the turn of their luscious Animal Print Dress*. I'll be entirely honest, I cant work out what animal this is a print of - The closest I can get is a sort of leopard/snake hybrid (Can you imagine?!? TERRIFYING) with its green and grey highlights. The dress itself is a lovely light silky poly blend which, along with its simple shift cut, makes it an utter delight to wear. I'm well into a high neck at the moment (I can keep my chins warm in them) and I like how this one gives a gentle nod to the 1960s. I'm wearing an 18 here and I would say it is very true to size in all elements except length. It's much more like a tunic on me but that's just fine because over a pair of jeans or, in this case, leggings, it is such an easy item to wear. I wore it for tea with my husband and he did an awful lot of stroking of the silky fabric so I wouldn't recommend it if you don't want to be gently manhandled. I've seen a bit of what Elvi have to offer going into the festive period and all I can say is: If you like sequins, gird your loins! With Autumn comes leaves, with leaves come wet toes and wet toes need the protection some good footwear. More specifically, if, like me, you have incredibly strong legs due to all of the shapes you throw around the kitchen, a pair of wide-fit knee boots. That's where the Wide Calf Boot Store come in. Finding the right fit on the site is SO FLIPPING EASY. At the top of each page is a "Calf Size Calculator" which asks for a few basic details and then presents you with a range of gorgeous boots which will fit you like the proverbial glove. I often find that I don't fit into standard width boots but high street wide calf boots are baggy on me. This bespoke fit means that you have the option of boots which will fasten on the calf perfectly without any gape - Such a rarity. 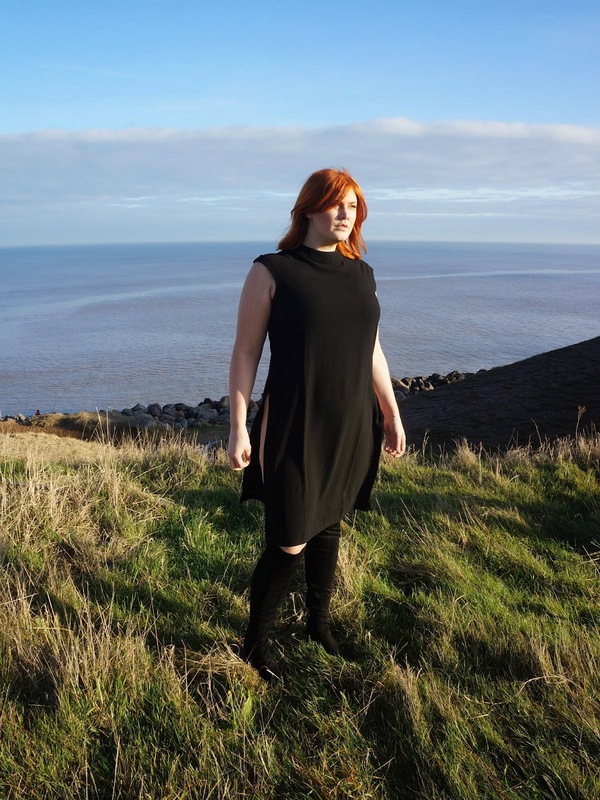 My measurements brought me out at a 9 M/L which gave me the choice of around 30 different boots in varying colours and styles. After much internal debate, I finally went for the JJ Footwear Alliance boots in black* because everyone needs a good pair of black boots innit. The Alliance boots are a perfect fit and have elasticated panel so there's no restriction with movement. They are also the holy grail of new boots in that they have non-slip soles - No more sliding around for the first month or scoring crosses into the bottom in order to maintain your "Staying Alive" status when walking through shopping centres. They also have removable insoles which is fab if you like to use your own. Finally, the pairing of genuine Italian leather and suede gives them a really (dare I say it) grown up look and assures me that I'm not going to destroy these boots in ten minutes flat. I've worn these boots a number of times already and can honestly tell you that the perfect fit makes a huge difference - There has been no rubbing, no aching calves and most importantly; I have not trapped my skin in anything at any point. I have nothing but gratitude for the Wide Calf Boot Store. Avid readers will know that I've always been a big Elvi fan; Their designs are chic, classic and so different from much of what we've come to expect from Plus fashion. So I'm delighted to announce that their AW16 range is no different. 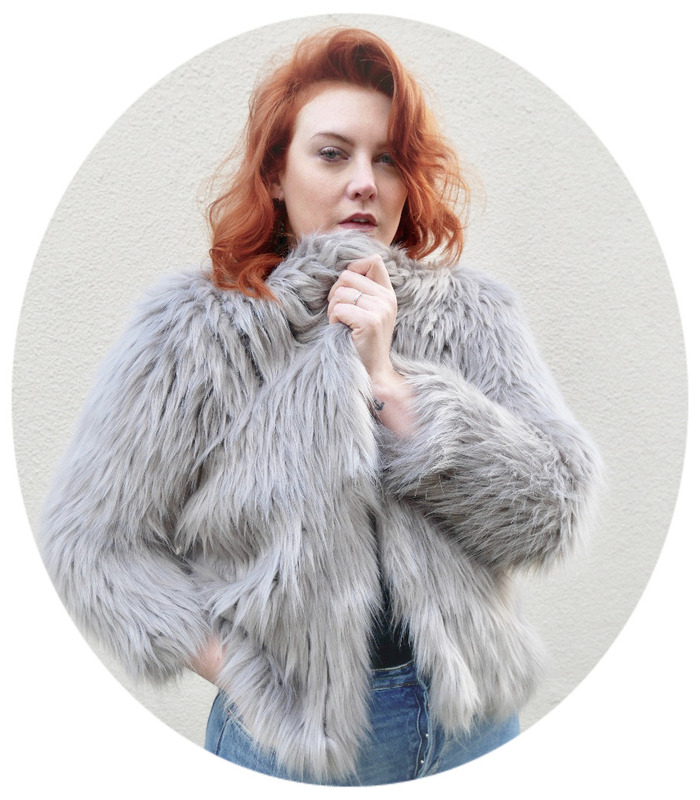 I have two pieces to show you, starting with the faux pony skin gilet*. I've always seen maroon as a bit of a neutral, in that it goes with everything, I'm just so into the maroon, indigo denim and camel colour palette that sneaks into so many ranges this time of year - I could never not be a redhead in Autumn. The top half is a glossy faux pony skin, which is so realistic you would have no idea at all if it wasn't for the fact that it very clearly says FAUX on it, and the lower section is a thick warm tweed style material which pulls a slightly darker tone into the look. The side splits prevent the gilet from looking boxy which is an issue I've had in the past. Elvi do longline extremely well, their catwalk show at Curve Fashion Festival showcased an extremely simple, tailored silhouette which I would never have imagined working on a voluptuous figure (The compromise between oversized and tailored is so rarely well executed) but BOY did it work. I'm wearing a 16 here and the fit is perfectly true to size. I've styled it here with one of my favourite easy-to-wear Autumn looks of mini skirt and roll neck jumper. I'd usually wear a pair of tights with a skirt this length but my legs are spectacularly bronzed from a week in Seville (if it doesn't look that way it's totally your screen resolution...) However, I've also worn the gilet with a black jersey midi dress as well as blue jeans and a black bodysuit. Extremely versatile, I think you'll agree. Guys, if you haven't seen the Hayley Hasselhoff x Elvi range I suggest you take a look as it is just GORGEOUS! As such, I've been knocking about in this here Floral Jumpsuit from Simply Be, being an effortlessly cool flower queen, eating ice creams and sweating minimally wherever possible. Firstly: This print. Isn't it fabulous? I'm a big fan of a floral as you may have noticed in the past like a million times. I'm also very drawn towards all-in-ones in the warmer months because they're just so easy - This one has an elasticated waistband and buttons at the back, meaning that you can get out of bed, step straight into it and off you go (Sometimes I even brush my hair. Sometimes). I think there's been a tendency for brands to think that a plus size jumpsuit has to be dramatically oversized, have a dropped crotch and basically be as close to a onesie as possible, I'm pleased to report that Simply Be do not prescribe to this. I sized up here - This is a size 18 and is a perfect warm weather fit (no sweaty gussets please) but otherwise the fit and style is . The boots are also from Simply Be and may be a tad premature weather wise but are going to be ideal with my tights for Autumn (YES, I'm thinking about Autumn, as it is the most wonderful time of the year and frankly I'm bored of always having a hot red face right now) They're ever so terribly comfortable and I do not say this lightly, just like my face, my feet hate Summer; they like to be all folded up where nobody can see them. I've always struggled with a casual night out look - I'm an all or nothing kinda gal (and by "nothing" I mean pyjamas). Saying this, I somehow accidentally aced it this week with the following look which I have entitled; "I have nothing to wear why do I have nothing to wear oh god the taxi is here quick put something on". How mega are these Leopard print boots? My Wonderful little Sister (Her of shiny hair and Sandra Bullock beauty) bought me these for my Birthday at the beginning of the month. They're incredibly comfortable due to a concealed platform and a size 9 HURRAY. The sheer shirt was a sale purchase from Yours Clothing - I modeled it on the NYE shoot and fell in love (despite the bizarre sizing - This is a size 20 in order to get my arms in). It's one of those hugely versatile items that you can wear as successfully to work as you can on a night out simply by adding a cami. Or not. Entirely up to you. This is no longer available in store but they do have a maxi length number which would look AMAZING over skinny jeans or a leather legging. 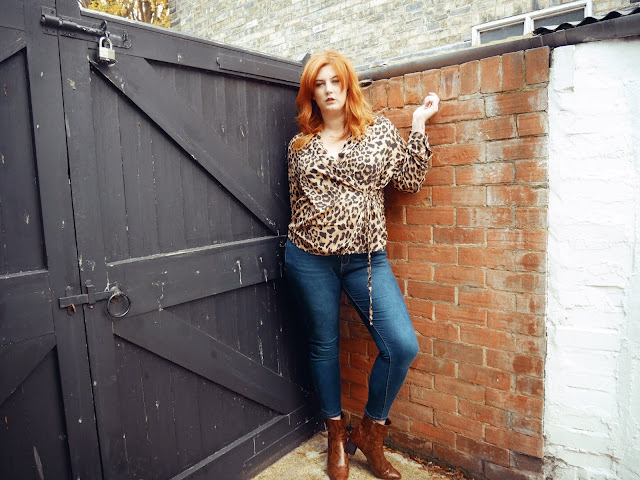 I've become a big fan of these Leigh jeans - They're not as high waisted as I'm used to and that means a great deal of hoiking throughout the day. However, they're the perfect blue jean colour and look worn without having stupid pretend white bits that make it look like you've been rubbing yourself rapidly A la Reeves and Mortimer. Topshop have always been ridiculously hit and miss size wise for me and I, like many others, wish that they'd consider extending their sizing. Not begging though, until then I'm more than happy to give my cold hard cash to the brands who do. I've got that Sunday feeling and it ain't good, it's been a lovely weekend but they're never quite long enough are they? Luckily I get to start the week with a new and rather wonderful acquisition in the form of this perfect Yours Clothing Pinafore Dress*. I was recommended the dress by the lovely Jacqs at Yours and all I can say is: Yours have utterly nailed it. I've mentioned in the past that I generally avoid the skater shape but for some reason, this really works for me. The length is spot on and there are pockets. Ten out of ten. This dress is just so easy to wear - Whether it be with a Tee, vintage shirt or roll neck; It's effortless. I wore the pinafore with one of my vintage shirts. This one was from the same place as the blue dress I bought last week. It's really unique in that it's longline with split sides - The only issue I have with it is that it's roughly two sizes too small for me, meaning I can only wear it under things. Otherwise you can see my tummy button. I'm a fan of fringed bags but have never been able to use one without feeling extremely conspicuous. Like I'm going to get it caught in a lift door or dip it in my dinner. This Suede look fringed number from Yours Clothing is ideal, practical (yeah I said that) yet still very "On trend" as people in the know say. * Denotes iterms gifted for review. As always, opinions are my own.